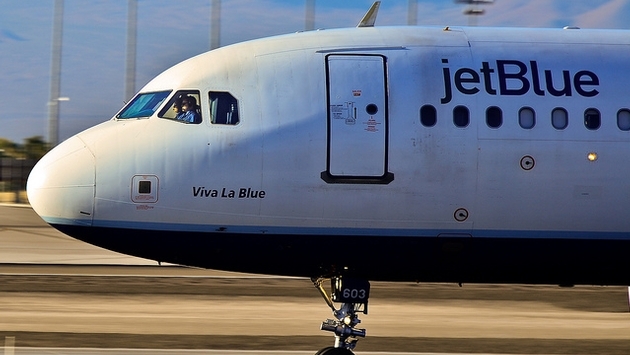 Samuel Adams is teaming up with JetBlue to pioneer "FlytoberFest." In celebration of October's Great American Beer Festival, the beloved brewing company is hosting a special in-flight beer tasting aboard an October 5 flight from New York to Denver. Samuel Adams founder and president, Jim Koch, will join passengers on the once-in-a-lifetime journey, according to Fortune. The lucky guests will sample the brand's popular OctoberFest seasonal brew along with two other special beers 30,000 feet above the ground. They'll also receive a gift bag full of goodies, including a Samuel Adams tasting paddle, opener and OctoberFest hat. The four-plus hour-long flight is scheduled to depart John F. Kennedy International Airport around 8:22 p.m. ET. on October 5. Samuel Adams said beer lovers can book a seat now, but the special discount ended September 15. The total fare costs $157 per person, including all taxes and fees. The offer can only be booked by calling into the JetBlue Business Desk (888-538-2583) and selecting "Option 3." Once in Denver, travelers will be able to experience one of the world's best destinations for craft beer. The Great American Beer Festival runs October 5-7 in Denver. The three-day event features countless craft breweries from all across the country as well as thousands of unique beers. This year's event is already sold out but, fortunately, the Mile High City is home to dozens of breweries.